I wonder how we ever managed without our MultiCam CNC machines in the past. We use them a lot these days and the mechanical wonders allow us to do things we previously could never have achieved. 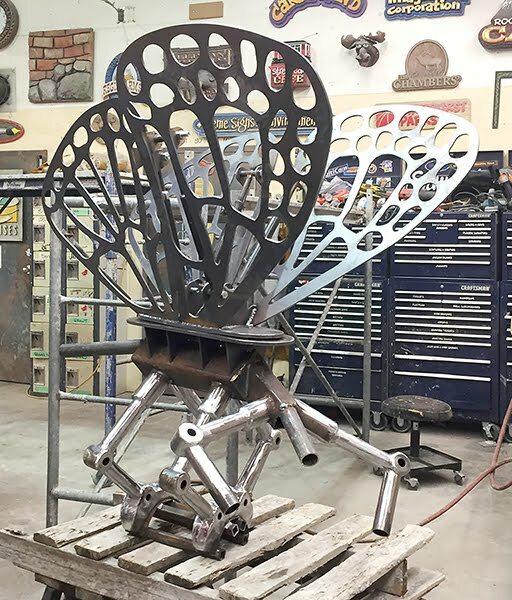 In the last couple of days I've been working on the flutterbye - a mechanical bug for the ride sign. The customer specified that the metal components be powder coated. This meant the various assemblies needed to disassemble easily for the coating. The bug also needed to come off of the branch for shipping as it made the feature too high. This is where the software and CNC come in handy. I designed the parts in EnRoute and then sent them off to the MultiCam for cutting. The feet are made from sections of pipe and plasma cut pieces. These were welded together as sub assemblies, ground up nice and then welded into larger assemblies. 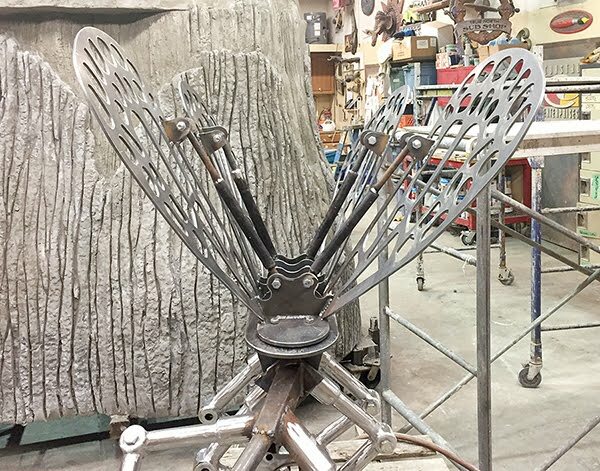 The bottom section will be welded into the tree branch and then sculpted up to. This will allow the feet to easily bolt on. We'll sculpt the bug body around the square tubing. I have yet to weld up the pencil rod frame for that. 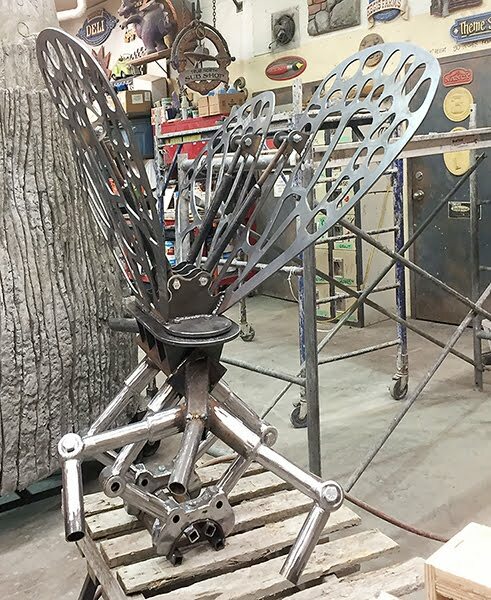 Today it was time to design, cut and mount the wings. As we test fit Peter came up with the idea of mounting faux hydraulic cylinders to the top of the wings. 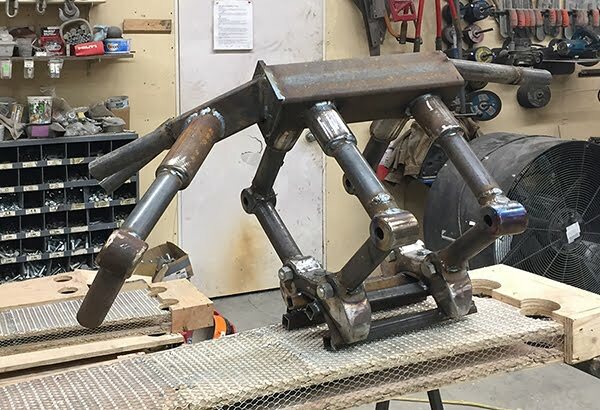 it would add to the mechanical look and they would also act as additional braces, making the assembly far stronger in the process. None of this would have been possible without the CNC machines! Deadline met - thanks to a hard working crew! Paint, more paint and then more paint still!